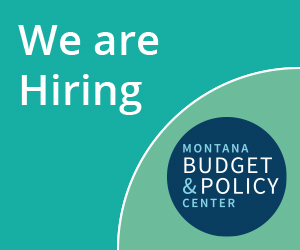 Medicaid expansion has been a vital source for health care coverage for Montanans, especially those with substance use disorders and mental health conditions. Harsh requirements that threaten to take coverage away from people who are unable to meet monthly work requirements would endanger the health and recovery of people living with serious mental illnesses. Montanans suffer from substance use disorders (SUDs) and mental illnesses at rates far greater than the national average. One in 10 Montanans is dependent on or abusing alcohol or drugs, and the state ranks 10th for illicit drug use. One hundred people die every year in Montana from drug overdose, and SUDs contribute to 20,000 hospital and emergency visits annually, with a cost of more than $150 million. Montanans suffer from substance use disorders and mental illnesses at rates far greater than the national average. In 2014 - 2015, 5.2 percent of Montanans reported experiencing a serious mental illness in the past year, which is higher than the national average at 4.1 percent. SUDs and mental health disorders are significant public health issues in Montana, and people living with these conditions, whether diagnosed or undiagnosed, are made vulnerable through harsh reporting requirements. As a result of Medicaid expansion, Montana has accessed over $14.4 million, most of which are federal funds, for substance use disorder treatment in FY 2017. Since enactment, Medicaid expansion has become a critical resource for increased health care coverage for people with substance abuse and mental health disorders. Montana has accessed over $14.4 million, most of which are federal funds, for substance use disorder treatment in FY 2017. With a statewide shortage of SUD treatment providers, Medicaid expansion has been a significant source of new revenue. In states that expanded Medicaid, the uninsured share of substance use or mental health disorder hospitalizations dropped from 20 percent in 2013 to 6 percent by the end of 2014. Nationwide, Medicaid expansion was associated with a 7.5 percent reduction in unmet need for mental health treatment, and an 18.3 percent reduction in unmet need for SUD treatment among adults living on low-incomes. The Trump Administration’s policy requires states to exempt “medically frail,” but that definition is strict. The federal definition only includes people with “chronic” substance use disorders and “disabling” mental disorders, potentially excluding many people with SUDs from that exemption who cannot provide long-term documentation, or people with other types of mental health conditions, which are well-managed for periods of time and disabling at other times. Any new requirements will create additional bureaucratic hurdles for people to clear, as people with SUDs and mental illnesses will need to track down letters from health care providers and medical professionals or provide other documentation in order to keep their health care coverage. Obtaining documentation for an exemption of a SUD or mental illness is challenging, as many disorders go undiagnosed. Nine out of 10 individuals with a SUD in Montana are not receiving treatment annually, making their access to required documentation even more difficult, especially for rural residents where treatment is difficult to obtain. This additional red tape will cause many people to lose their health care coverage when they are unable to report the necessary information for the exemption, even though they may have qualified. 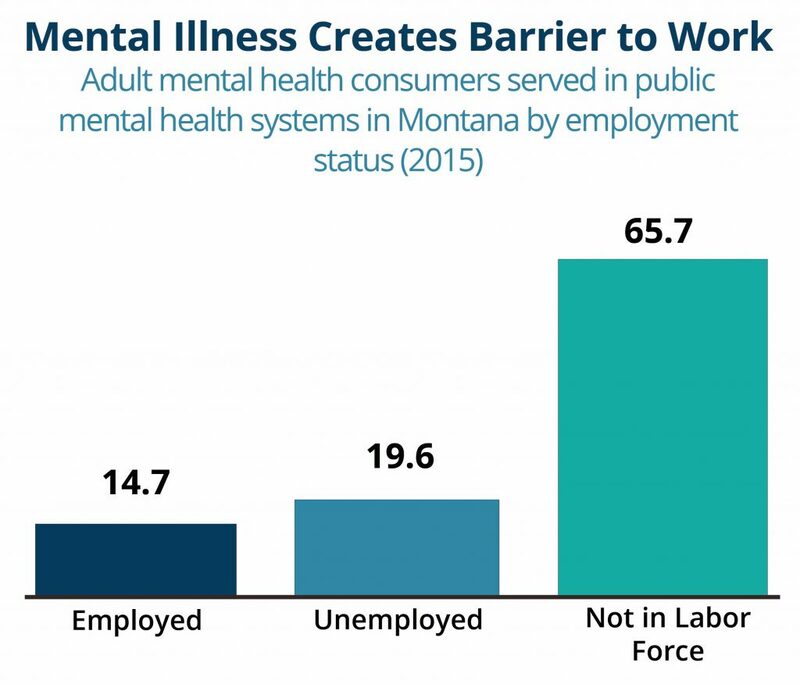 In Montana, nearly two-thirds of people with mental illnesses are not in the workforce, and an additional 20 percent are unemployed. SUDs and mental illnesses can make it more difficult for people to obtain steady work. For example, a person with a serious mental illness such as post-traumatic stress disorder (PTSD) may need a quiet working environment, ruling out many jobs in fields such as retail, food service, or construction. The possibility of losing health care coverage for being unable to find employment or meet monthly hour requirements may create stress for some people and exacerbate their conditions. Taking away people’s health care who are unable to meet harsh work and reporting requirements will jeopardize the health of thousands of Montanans in need of mental health and/or SUD treatment. An untreated SUD can make it significantly more difficult to hold steady employment and losing access to health care would only serve to make it more unlikely the person is unable to access treatment. Department of Justice, “Substance Use in Montana: A summary of state level initiatives for the Department of Jusice,” Sept. 2017. Department of Justice, “Substance Use in Montana: A summary of state level initiatives for the Department of Justice,” Sept. 2017. Substance Abuse and Mental Health Services Administration, “Behavioral Health Barometer, Montana, Volume 4,” 2015. Prior to Medicaid expansion, Montana Medicaid did not have a significant role in covering SUD treatment. Manatt, Montana Health Care Foundation. ”Medicaid Expansion: How it Affects Montana’s State Budget, Economy, and Residents” June 2018. Department of Health and Human Services, ”ASPE Issue Brief: Continuing Progress on the Opioid Epidemic: The Role of the Affordable Care Act,” Jan. 11, 2017. Center on Budget and Policy Priorities, ”Taking Away Medicaid for Not Meeting Work Requirements Harms People with Substance Use Disorders,” Dec. 14, 2018.